1 x 7 x 7 in. 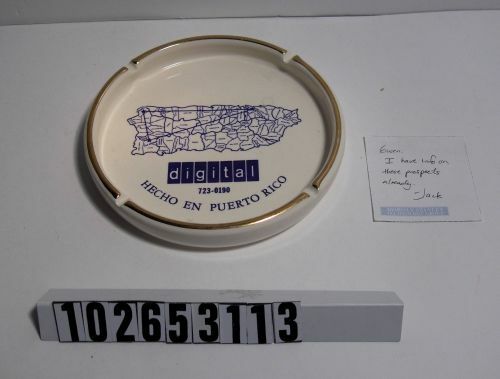 On ashtray is written HECHO EN PUERTO RICO. Written on Morgan Stanley Technology Group post-it note found with ashtray is "Gwen: I have info on these prospects already. - Jack"